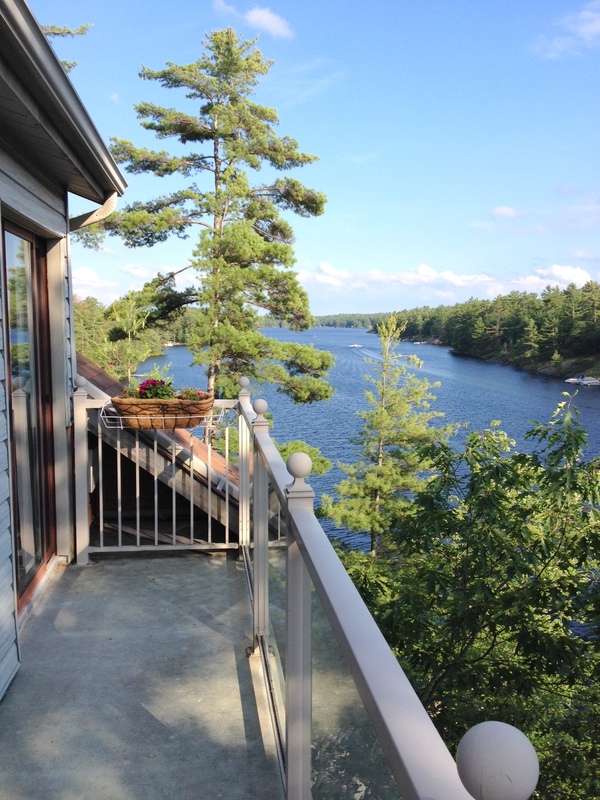 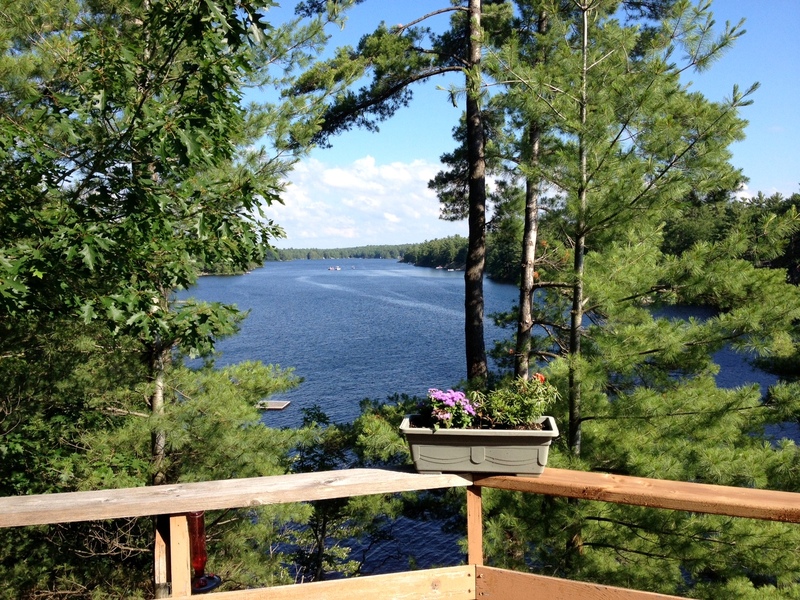 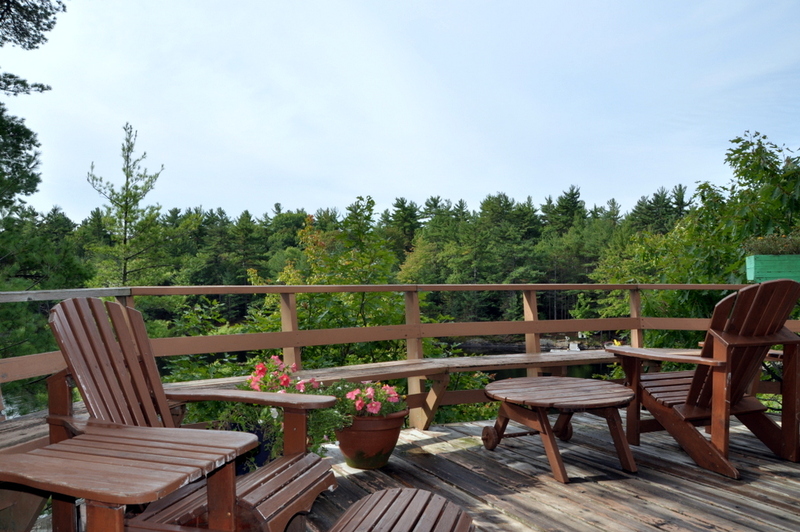 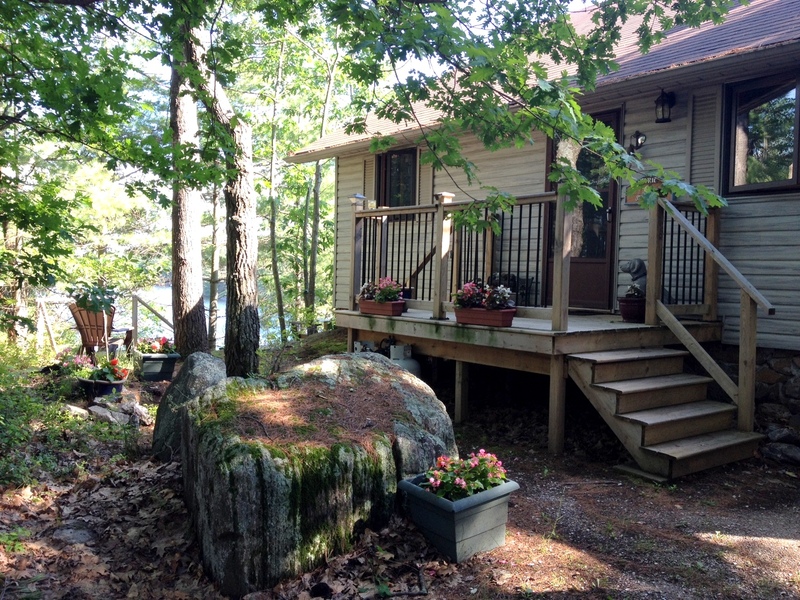 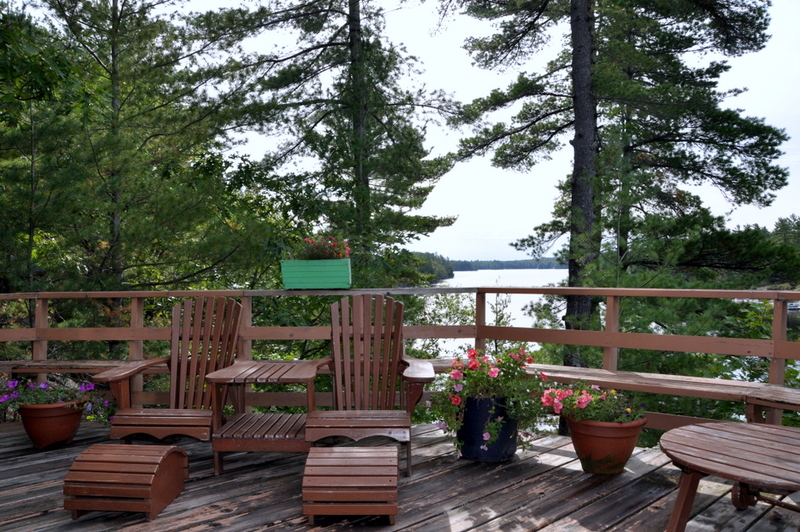 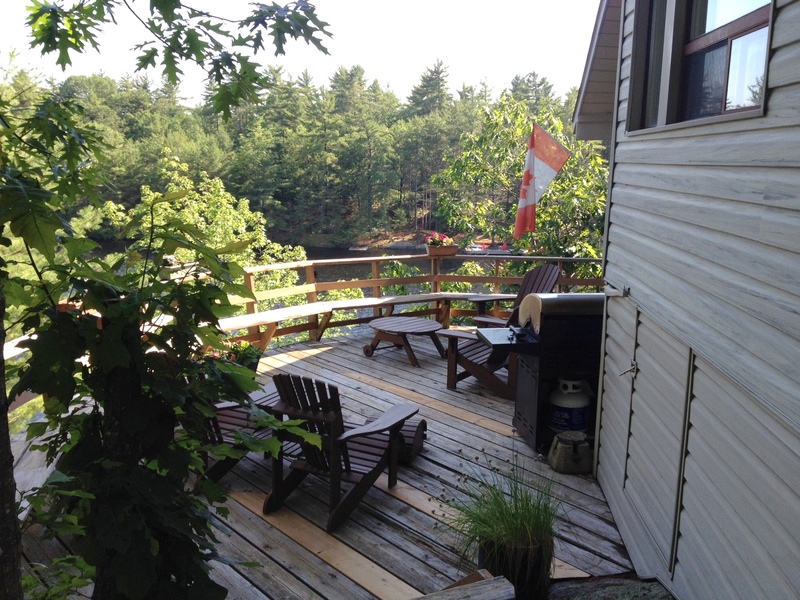 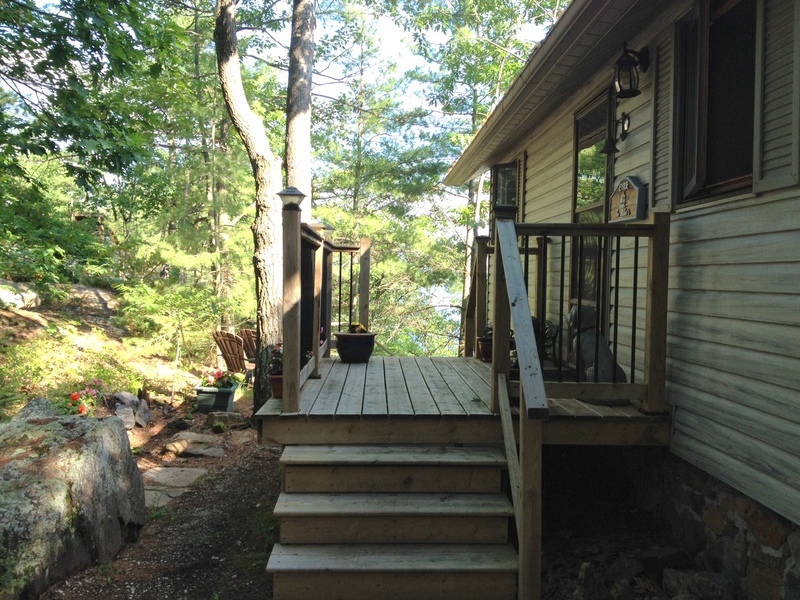 This 3 bedroom cottages enjoys fantastic views down the lake from its elevated position. 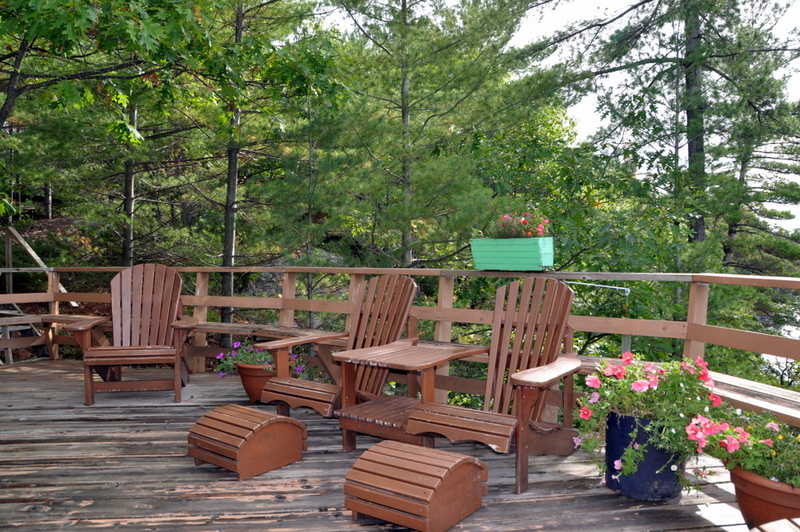 The large deck area will be the hub for entertaining or just sitting back with your favourite beverage as the wind whispers through the tall trees while you enjoy the panoramic view. 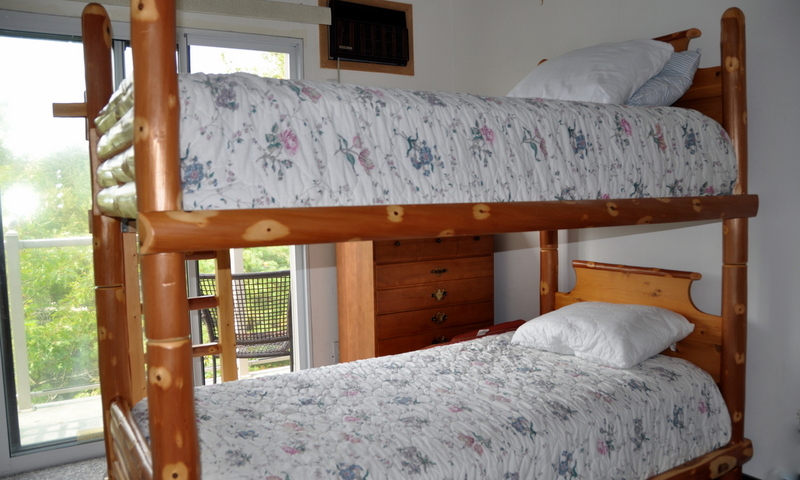 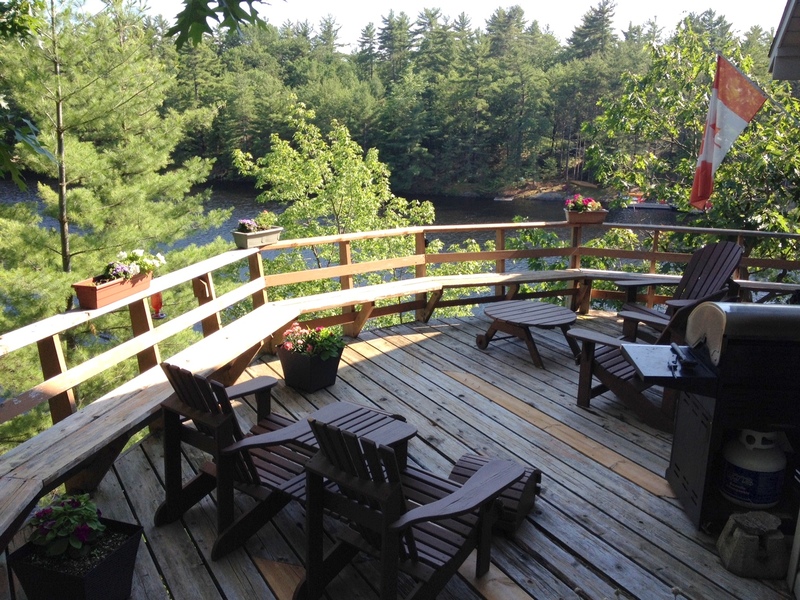 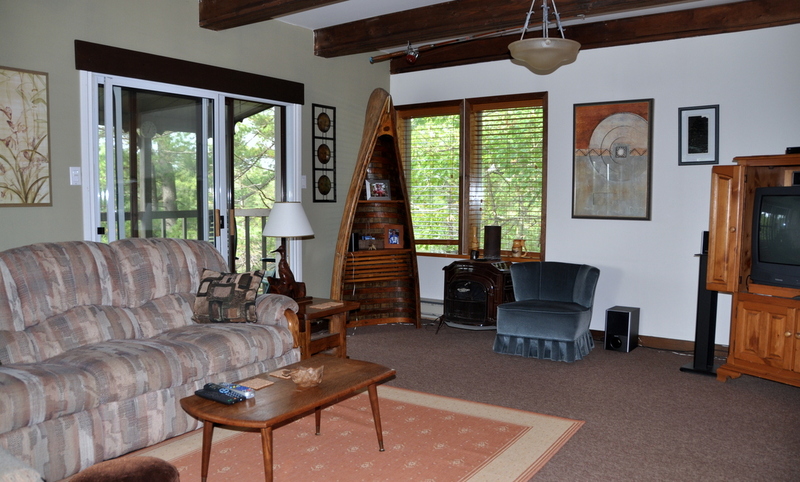 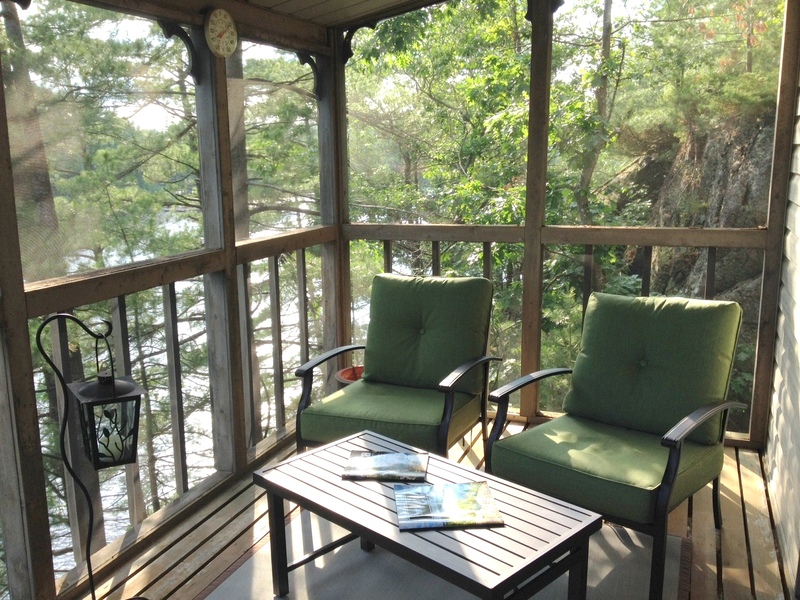 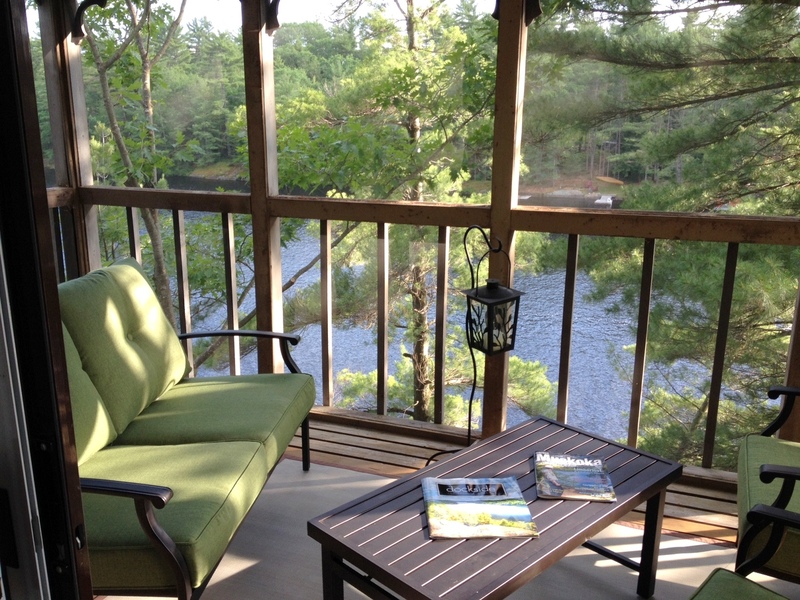 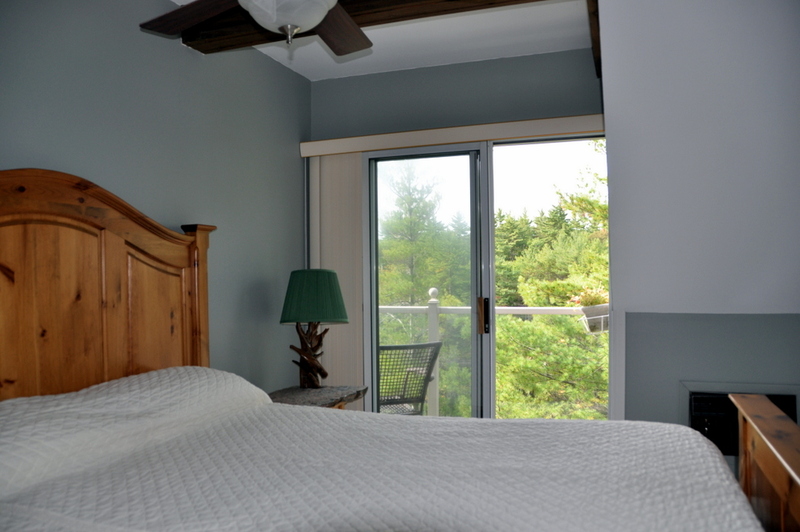 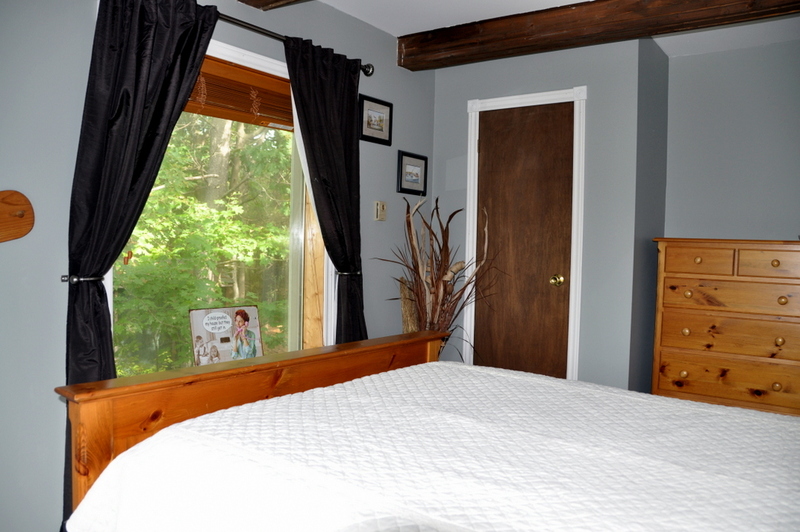 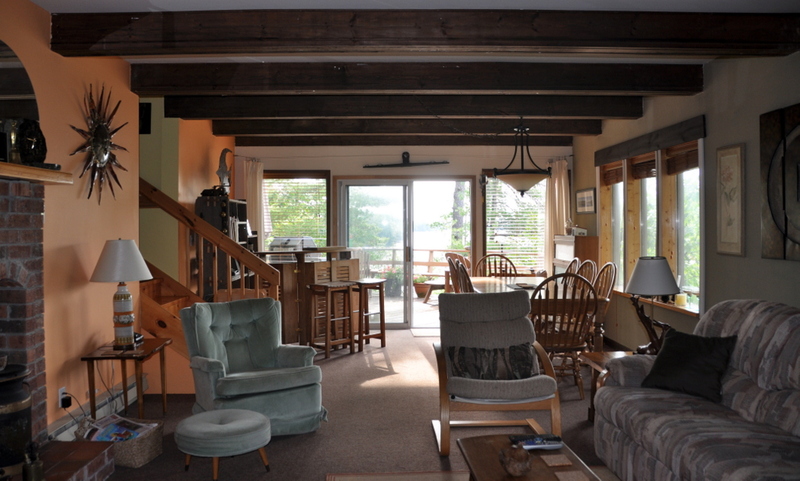 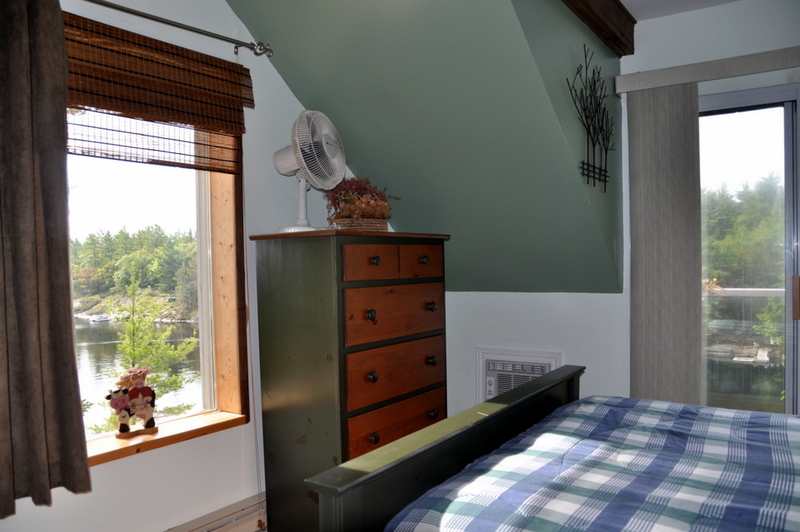 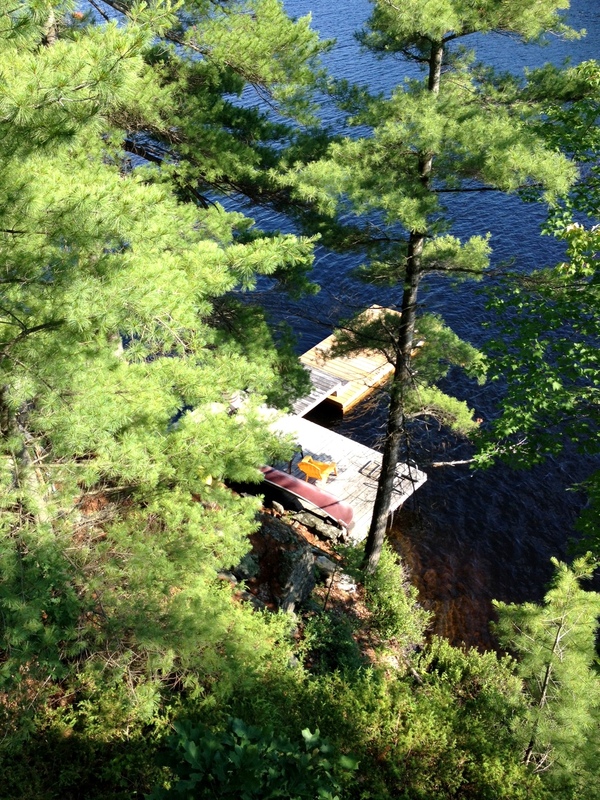 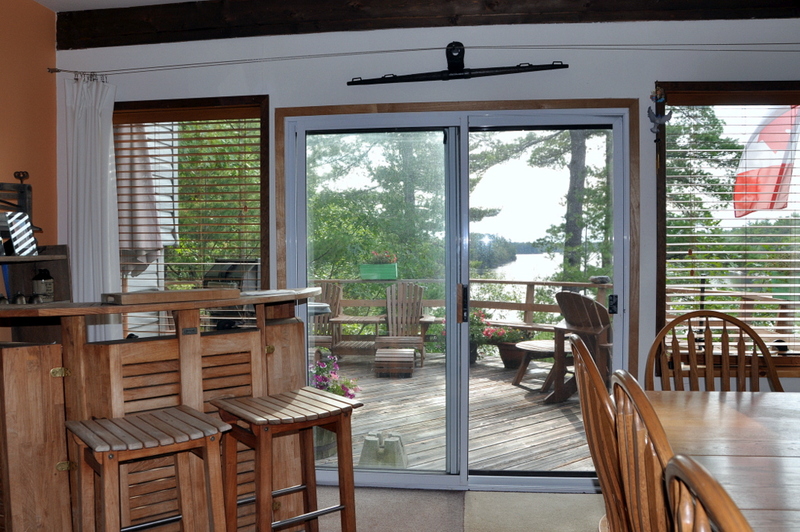 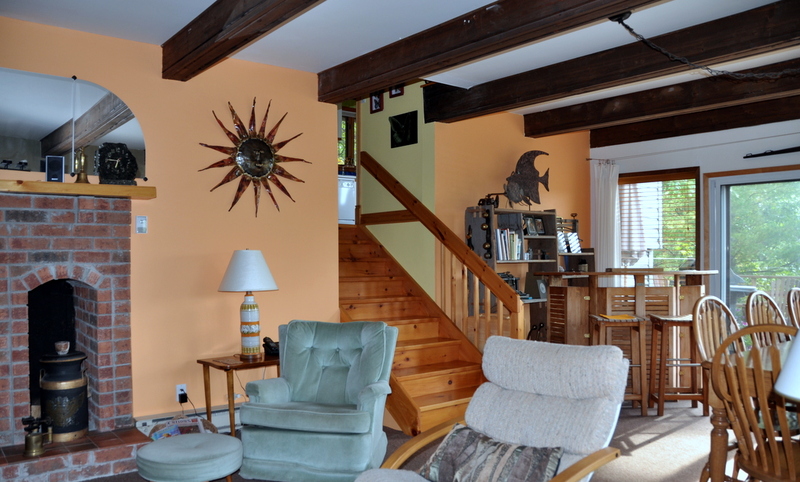 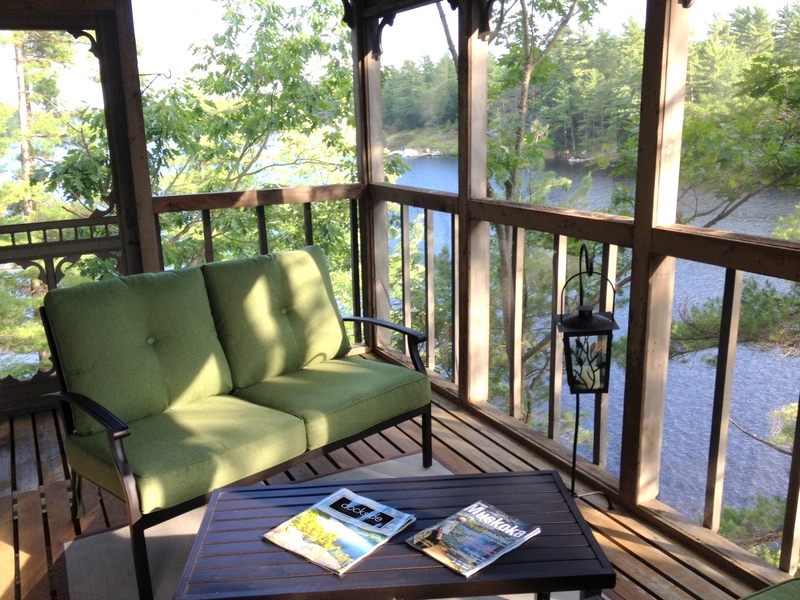 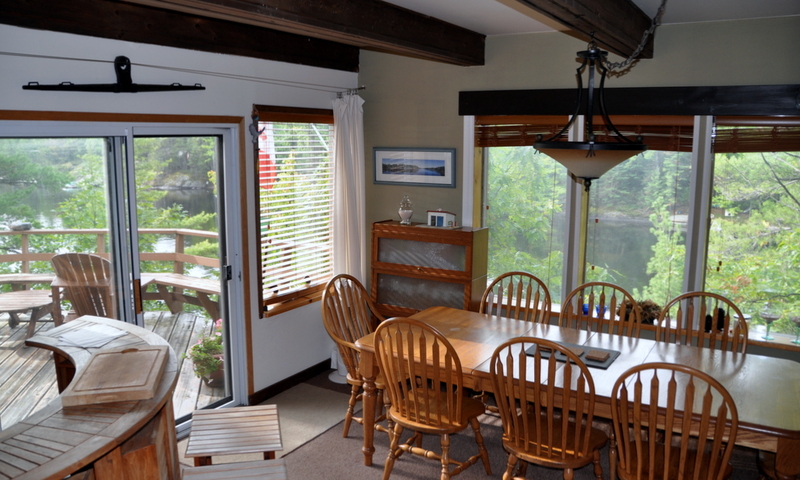 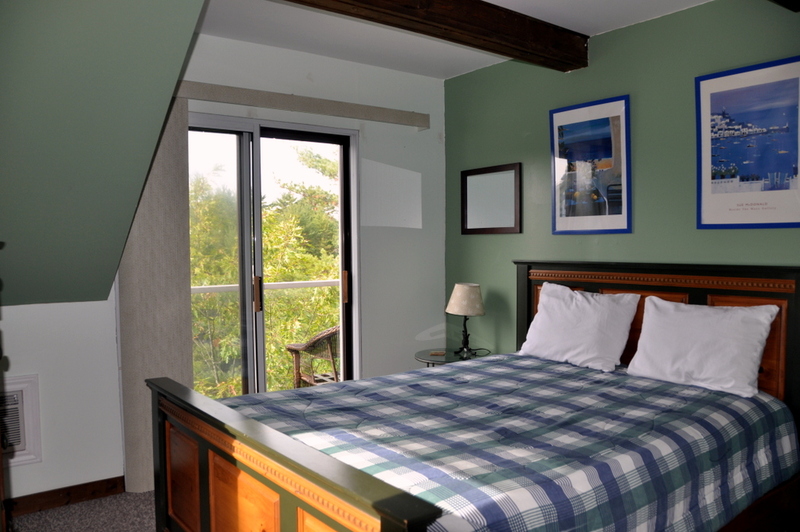 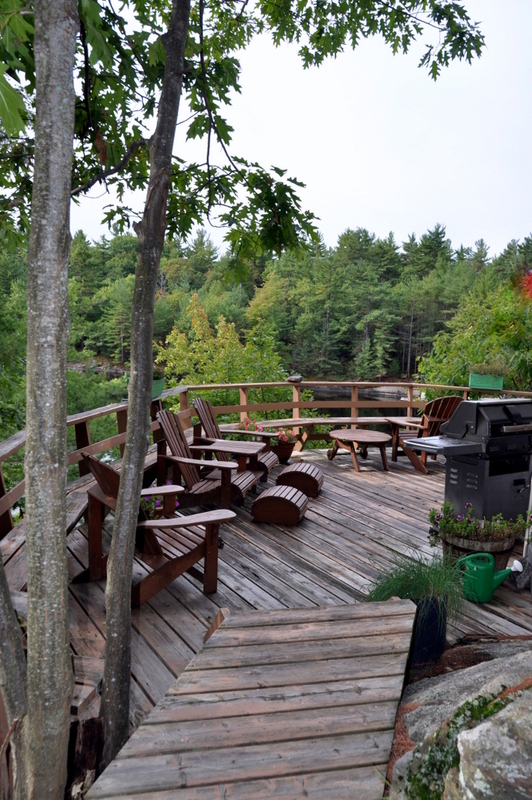 There is even a screened-in Muskoka Room for evenings or inclement weather. 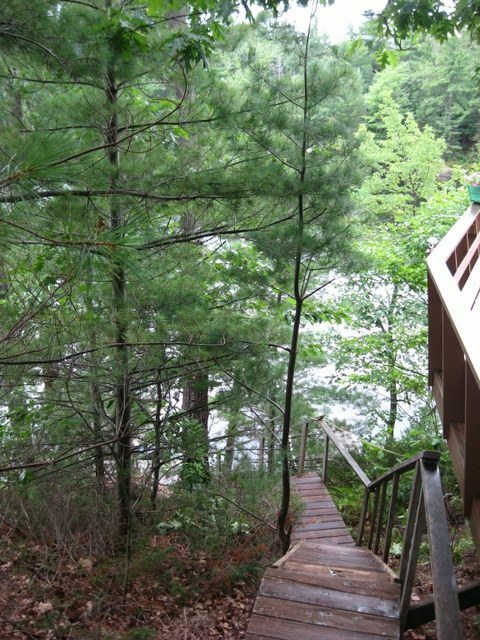 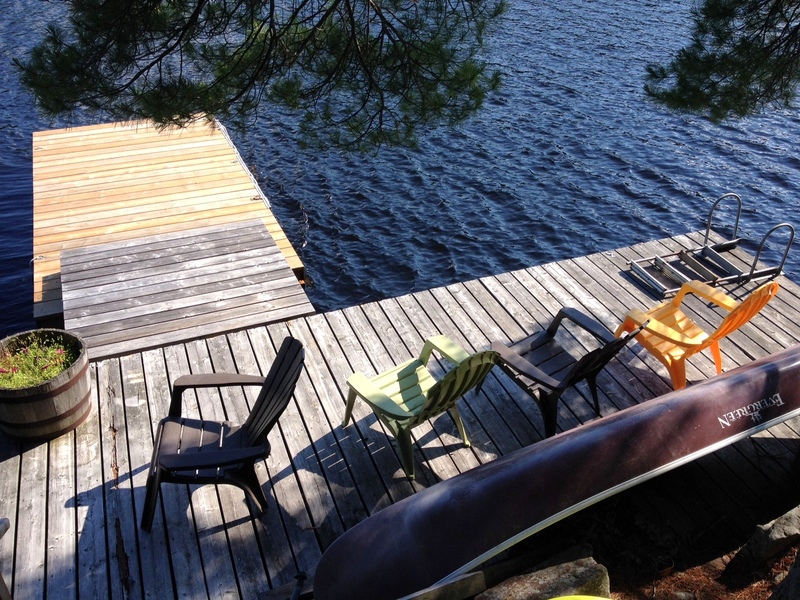 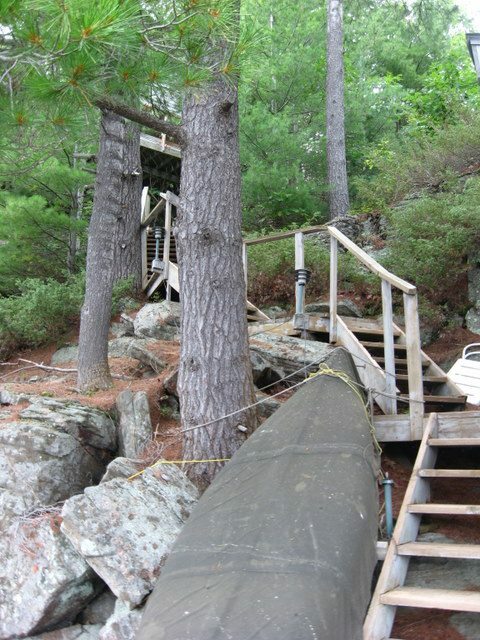 From the cottage, there are steps (55) leading you down to the dock area. 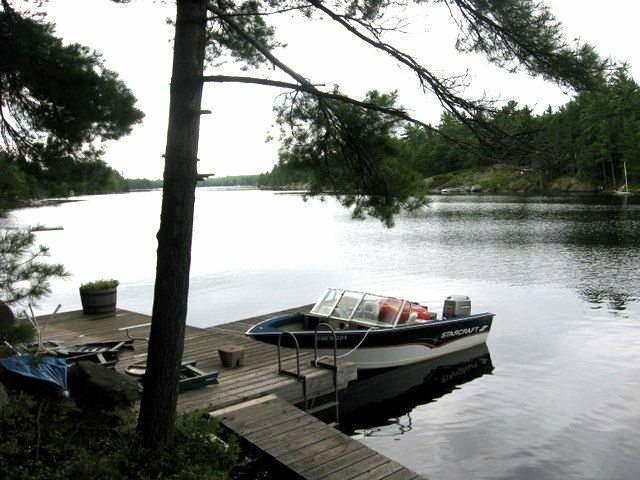 The shoreline here is fairly steep and the best swimming is from the docks where the water is deep and clear. 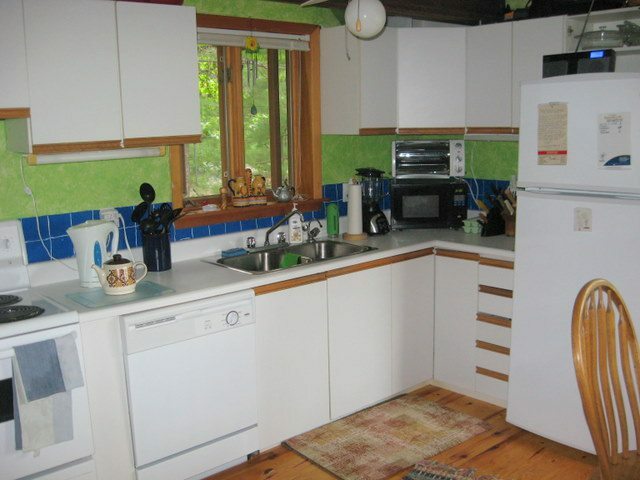 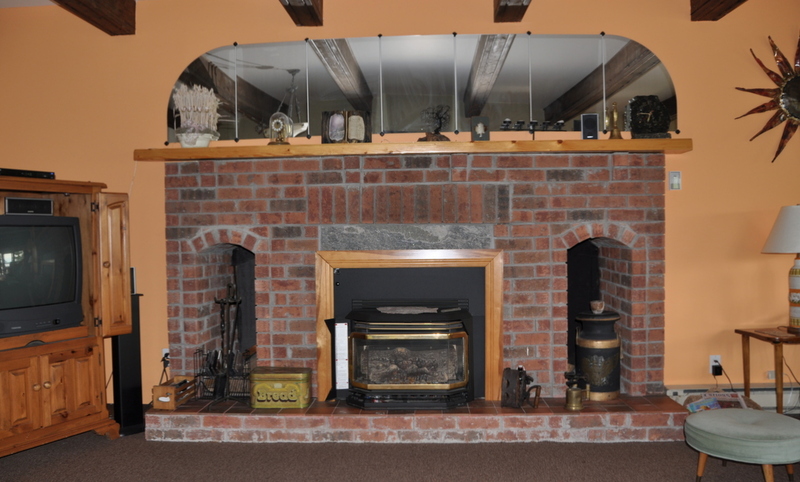 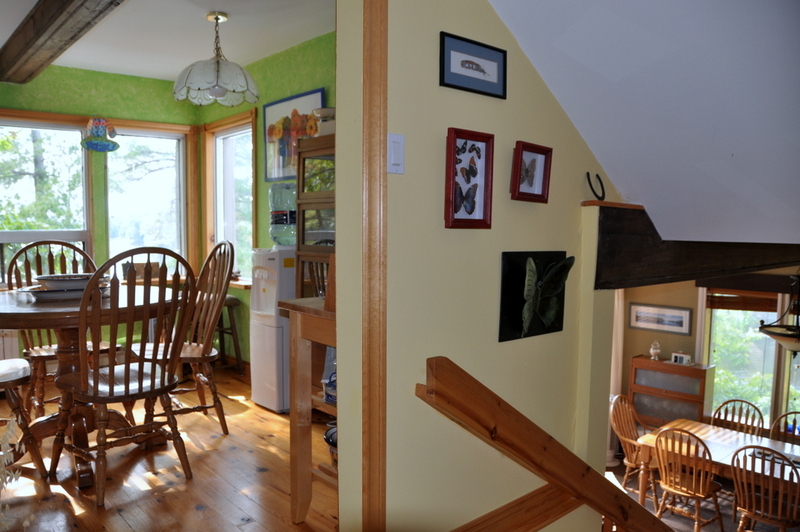 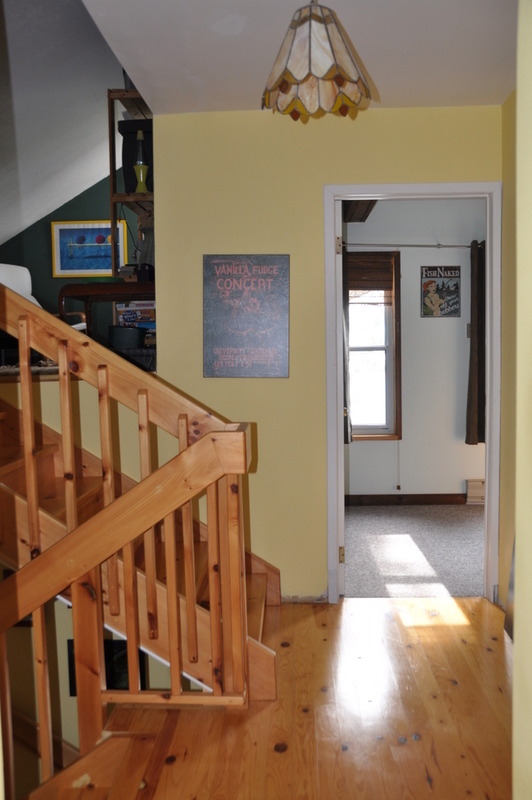 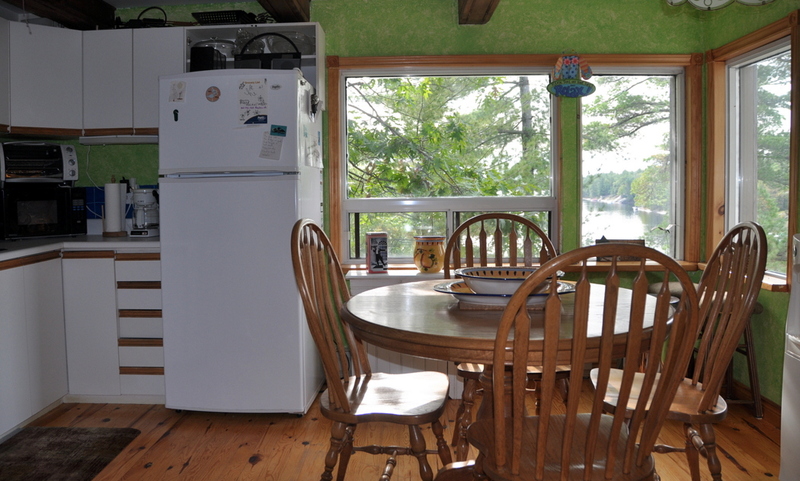 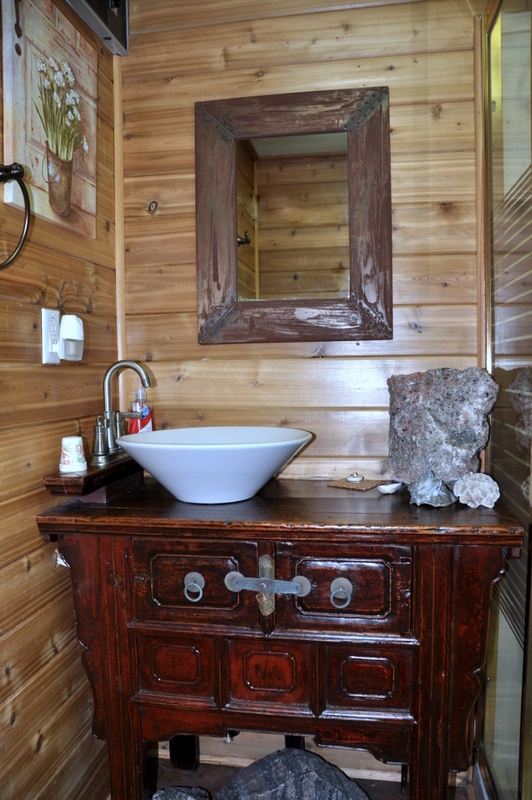 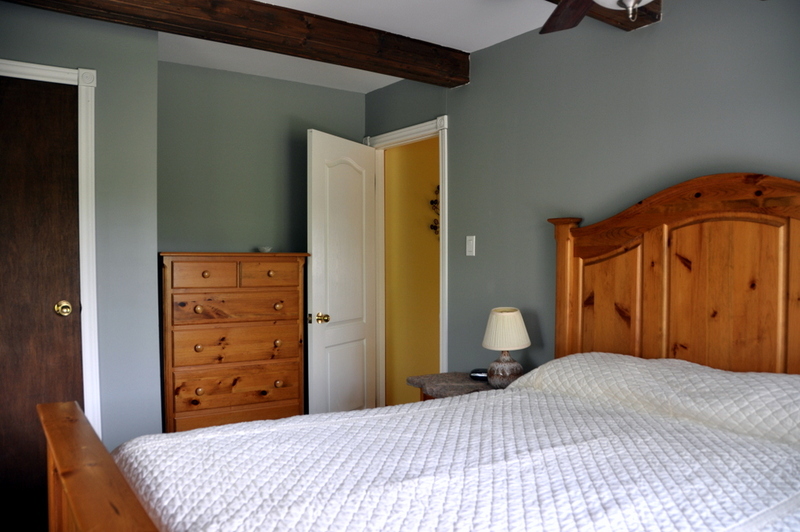 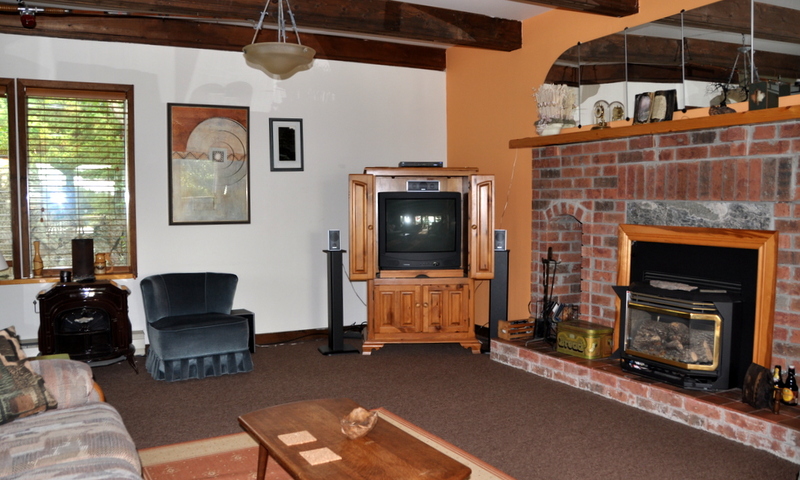 Inside, the cottage is bright and spacious with a full size kitchen that has a breakfast table and large corner window. 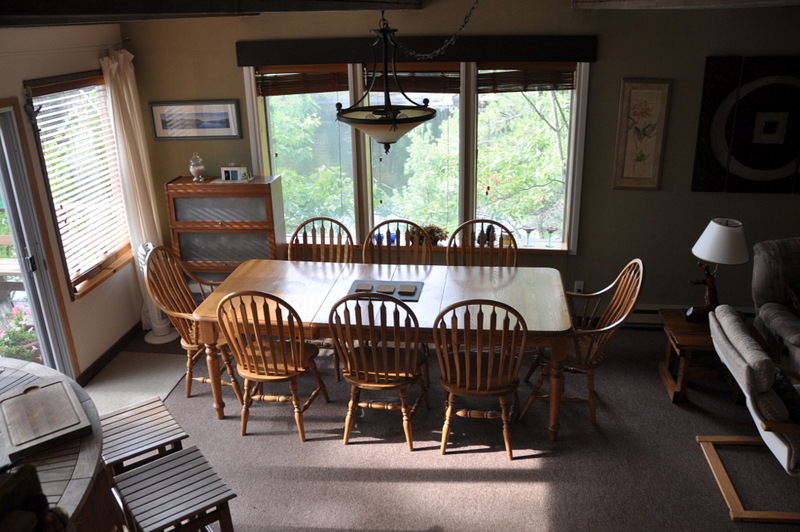 The sunken living room and dining area have room for everyone to dine, watch TV or curl up with a good book. 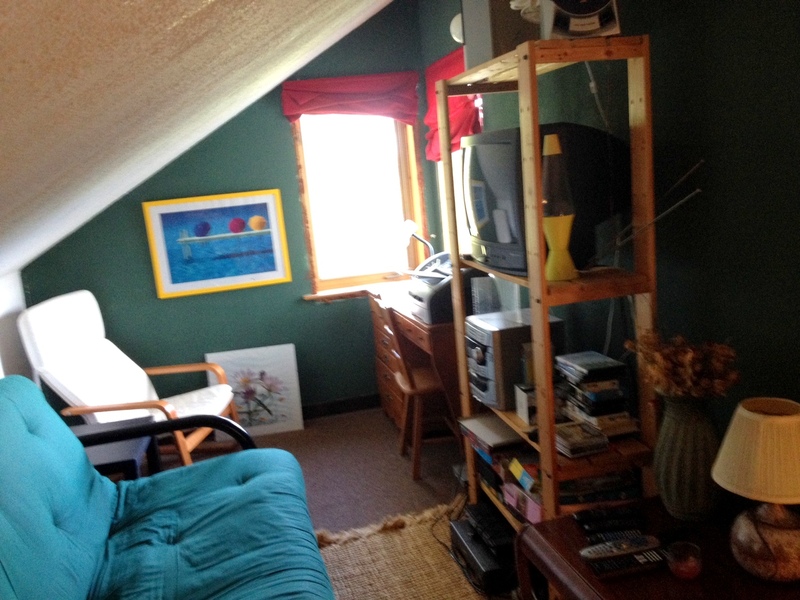 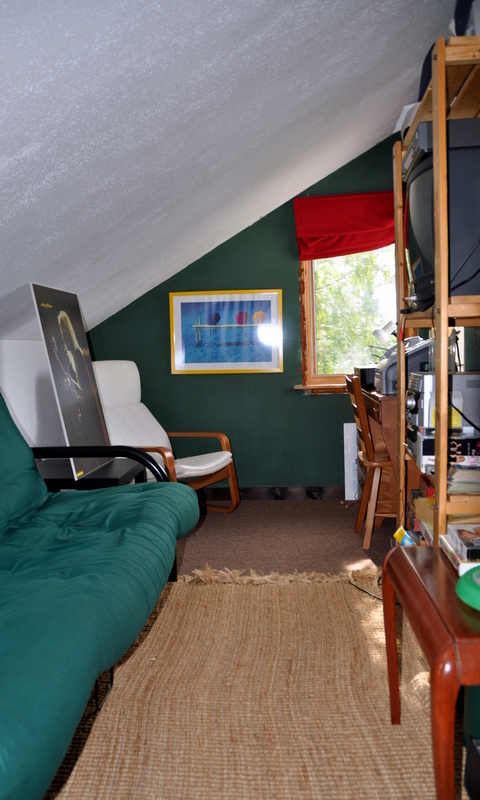 There is another loft area on the bedroom level where kids can escape to watch their own TV or hook up their video games. 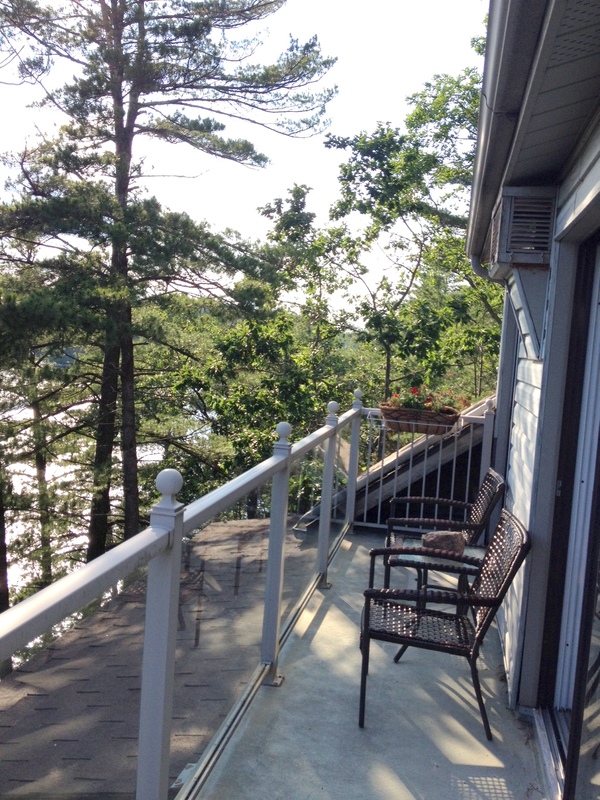 The 3 bedrooms all have walkouts to a balcony that directly overlook the water. 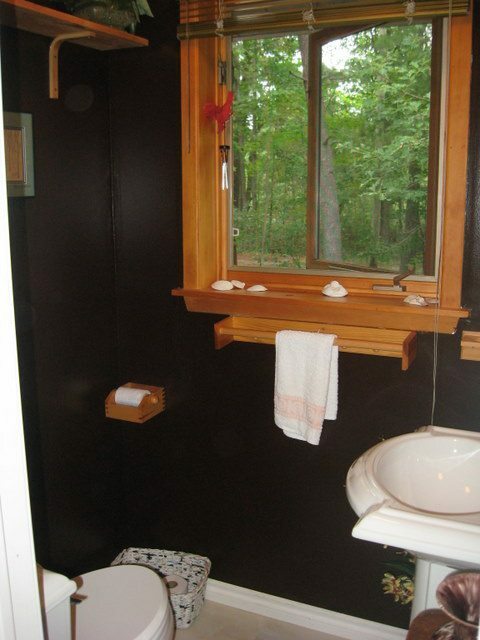 Great for early morning coffee or star gazing in the evening. 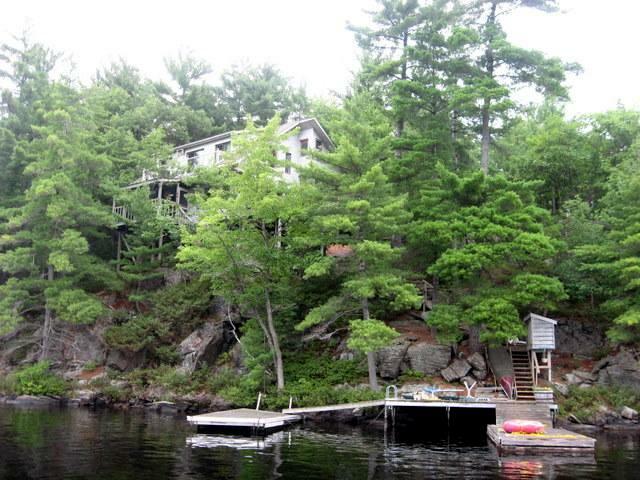 LOCATION: about 2hrs from Toronto. 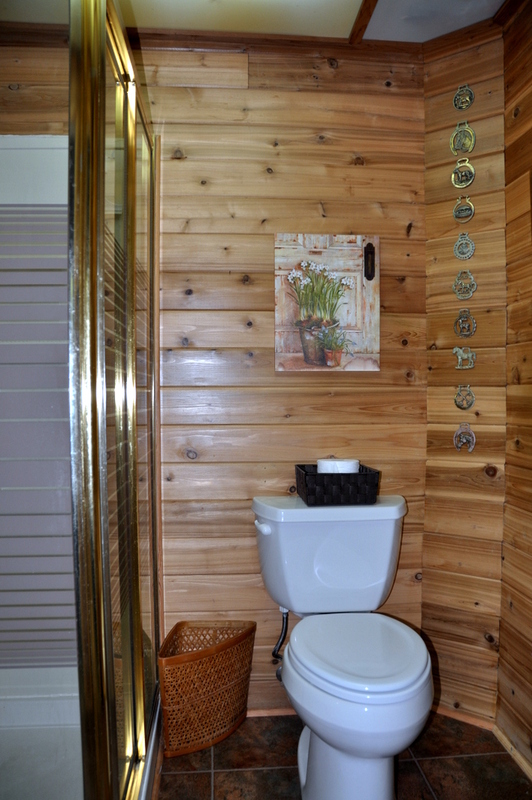 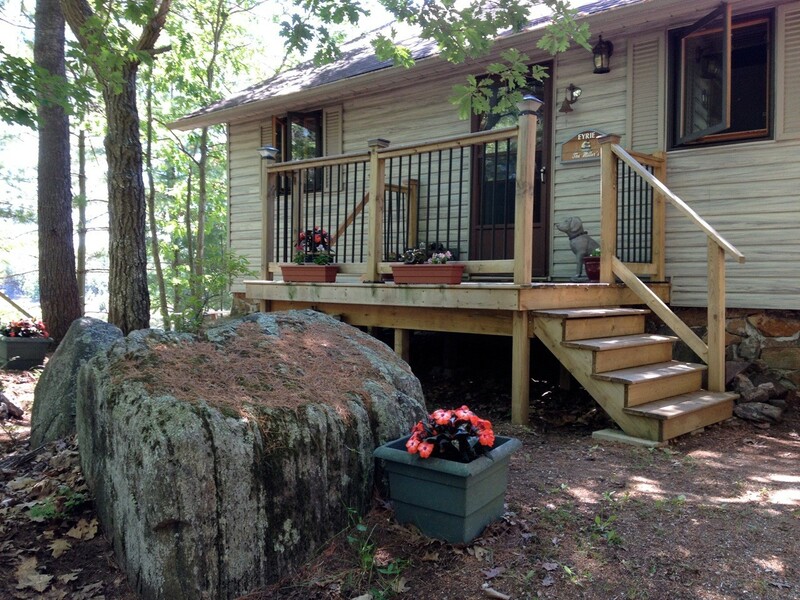 Just 10 min's to the town of Gravenhurst for most all amenities. 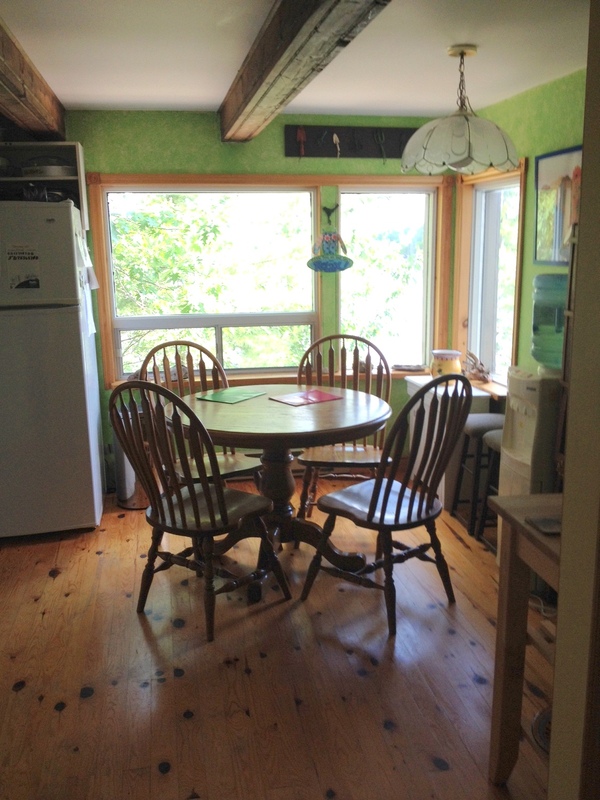 Pet on approval (1 dog), no smoking, maximum number of occupants is 6, bring own linens and towels, bring own drinking water, noise restriction after 11 PM. 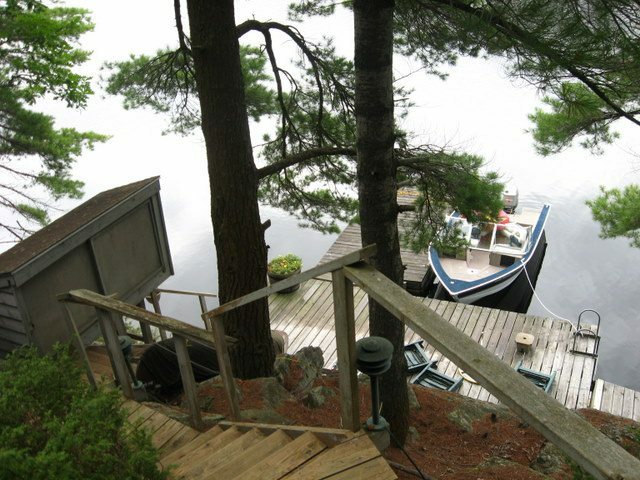 Please note the old bench style railings on the deck and the steps down to the water (not recommended for children under 7 years old).